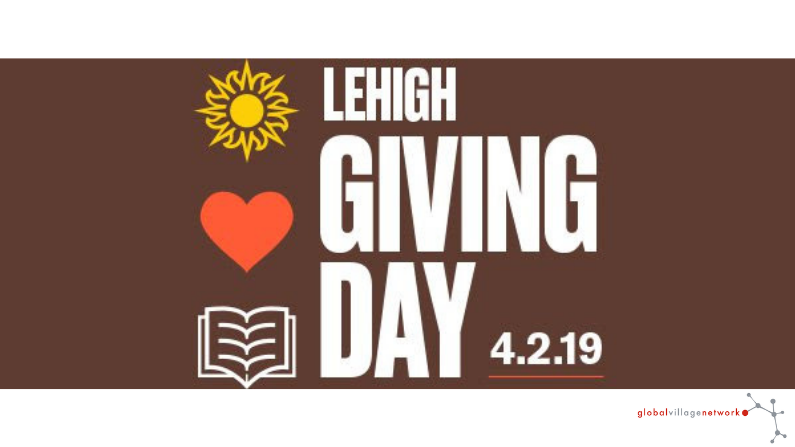 On April 2, join the entire Lehigh community for the second Annual Day of Giving! For 24 hours, the Lehigh community across the globe will come together on Tuesday, April 2 to make an impact on life at Lehigh. Mark you calendar and make a gift to what is most meaningful to you. The Student Refuel & Refresh Challenges unlocks various local treats and giveaways for students preparing for 4 o’clocks. The Alumni Leadership Challenge unlocks collective funds raised by alumni leaders when we reach 1,865 Giving Day donors. The Class Affinity Challenge rewards the alumni class with the highest percentage of Giving Day donor participation. Don’t miss 24 hours of fun challenges and displays of Lehigh pride on April 2! Whether you want to support the arts, research, or any other initiative, there’s no better time to give to your passion than on Lehigh Giving Day. Lehigh’s Giving Day is an intensive, 24-hour-long effort to engage alumni and campus community in a celebration of support for the university. The goal is to get as many people in the Lehigh family to participate. Plans include fun videos and contests, plenty of email updates and social media, and (of course) the chance to make a gift to Lehigh. You’ll be able to compete to unlock additional dollars for your area of support and possibly multiply the impact of your gift. Plus, watch for fun thank you messages and special shout-outs. You tell us! Simply select the tile representing what you are interested in supporting. You can then search for a department or program or scroll through the designations offered. Your gift will be designated for use in that area. You can split your gift across a few designations or adjust the amount of your gift along the way.